The staff took really an effort to please everyone. It is some minutes walk to the center but they offer a free shuttle around Canggu - which was always available. The rooms are a dream, it is really an oasis to relax. We would definitely book it again. Staff very friendly and the shuttle service around the canggu area was amazing! Had the bubble indulgent spa package and would definitely recommend this. Very romantic. I loved how the staff did their best to take care of us. They would always greet us whenever they see yd and make us feel ultra welcome. Also the shuttle service was a great bonus. 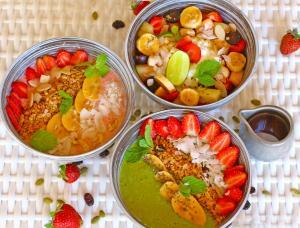 The breakfast options were amazing and the staff were always happy to make alterations for us! The service was excellent and very friendly. The place was kept clean, including the pool. The air con was icey cold, even on very humid days/nights. The shuttle service was extremely convenient. The location for Canggu was good, but just like Bali elsewhere, it's difficult to get from place to place. 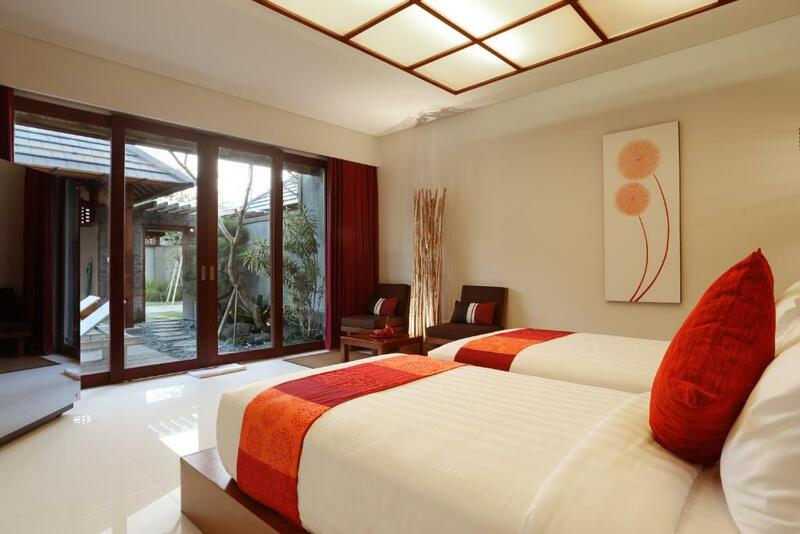 If you're happy to stay put in Canggu then the location is great. The bed and pillows were amazing! The staff exceptional! Also appreciated the free shuttle along Batu Bolong. Everything ! 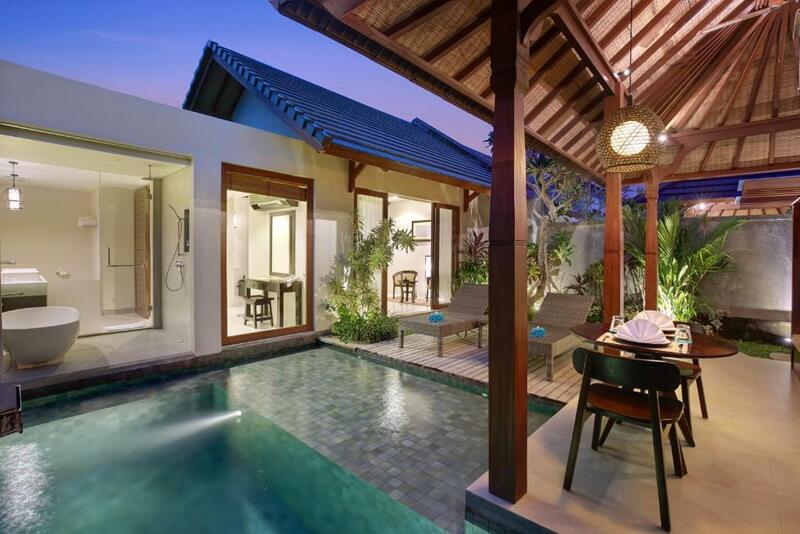 Clean roomy villas with own private pool. The staff are absolutely amazing, so kind & caring. The pool restaurant absolutely delicious and they serve to your room Complimentary taxi service to areas of Canngu which is so handy Would come back again & recommend highly to anyone else Perfect holiday destination !!!! The local food on the menu. The staff were all fantastic and very friendly. Facilities including the shuttle service were really good. Very good value for money overall, will hope to stay again soon! We loved this villa/hotel the free shuttle service was amazing and the staff were so nice! Every need we had they catered for! The villa was great very clean and spacious and the pool was a greT depth. Loved the outdoor daybed that was undercover. We loved the shuttle service and the staff were amazing and very kind. Our night time service where the staff would set the insect coils and prepare the bed was very beautiful and thoughtful. Lock in a great price for Theanna Eco Villa and Spa - rated 9.5 by recent guests. One of our top picks in Canggu.Set in Canggu, a 6-minute drive to Echo Beach, Theanna Eco Villa and Spa offers villas with private pools. Guests can enjoy pampering massages at the spa centre. The property also provides free use of bicycles and free shuttle service to the surrounding areas. Free WiFi is accessible throughout the property. Batu Bolong Beach is 1.1 miles away, while Echo Beach is 1.2 miles from Theanna Eco Villa and Spa. Ngurah Rai International Airport is 6.8 miles away. Theanna Eco Villa and Spa has been welcoming Booking.com guests since 19 Jul 2016. When would you like to stay at Theanna Eco Villa and Spa? 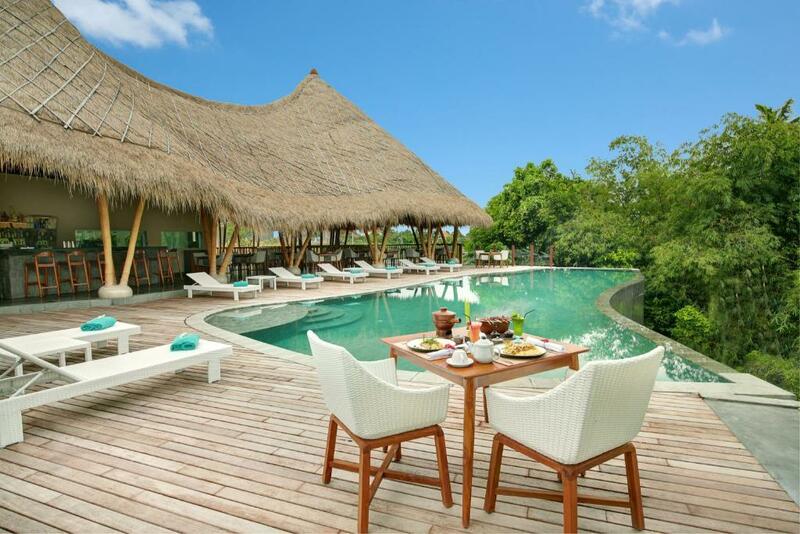 This villa has a balcony, air conditioning and dining area. This villa has a balcony, barbecue and seating area. This villa has a balcony, bathrobe and minibar. 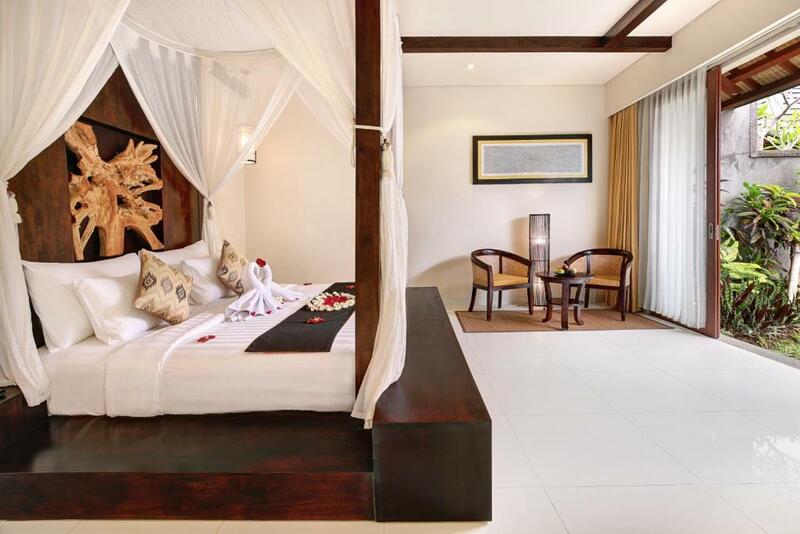 This villa features a balcony, cable TV and bathrobe. Rooms are 237 square metres. 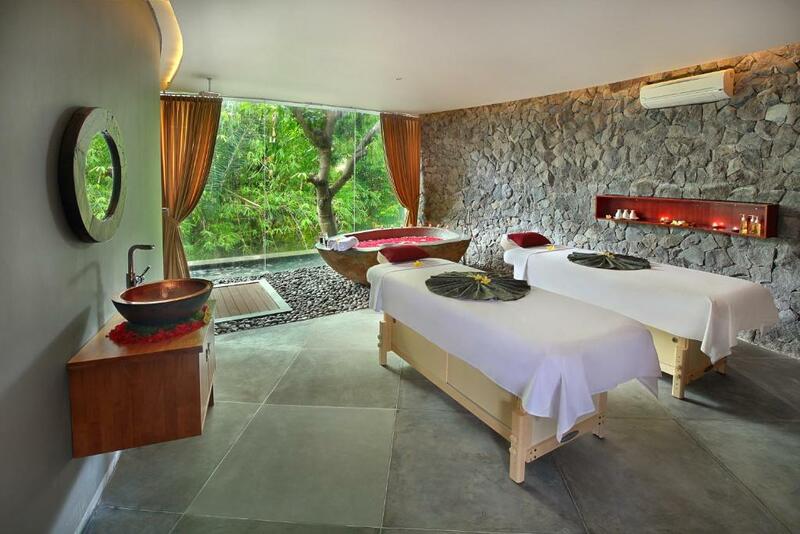 Theanna Eco Villa and Spa is a serene, luxurious retreat whose every purpose is to help you relax and re-energies in style. 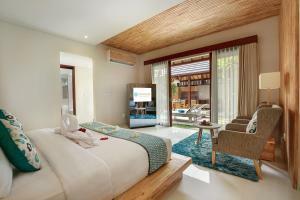 We just have 17 villas, each with a sleek modern interior, refreshing simple garden and private pool. Our 'no children' policy allows a couple to really be a couple and spend every moment to reconnecting with each other. 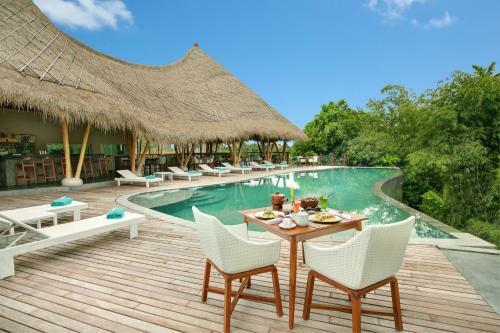 Consider Theanna eco villa and spa as your private tropical retreat, think of this as a luxurious stay with a small family of friends. House rules Theanna Eco Villa and Spa takes special requests - add in the next step! 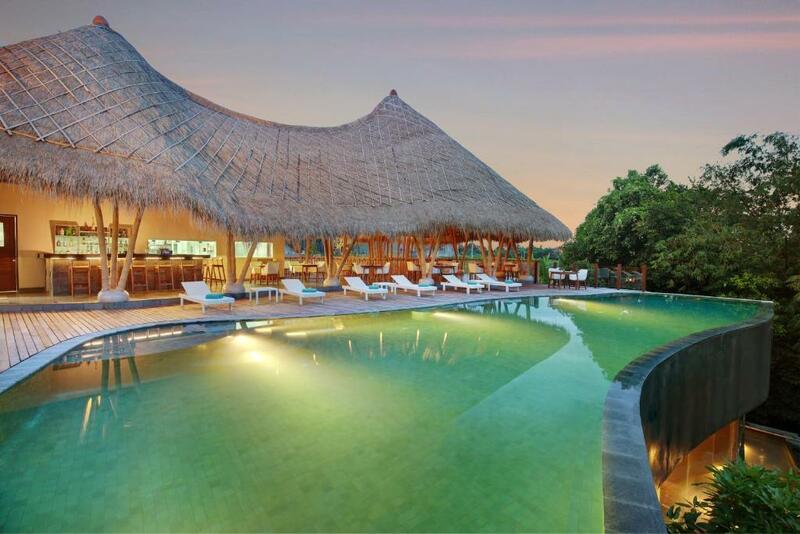 Theanna Eco Villa and Spa accepts these cards and reserves the right to temporarily hold an amount prior to arrival. Please inform Theanna Eco Villa and Spa in advance of your expected arrival time. You can use the Special Requests box when booking, or contact the property directly with the contact details provided in your confirmation. For us, the bed was too hard, meaning you couldn't lie on your side without getting a sore hip. The other things i would have liked to have were the ability to lock the villa. We could only lock the rooms of our villa once inside, and otherwise had to rely on the entrance to our entire villa being locked with a key card. You can't order a taxi to the villa. The room itself is nothing special. I don't mind seeing centipedes in the garden, as a part of nature. But seeing 3 of them enjoying the pool with me was a big freak out!!!!! Little oasis tucked away from the chaotic canggu streets. Very peaceful , such a big contrast to the noisy street outside the complex. Spacious room, friendly staff and very considerate service. Unfortunately, our villa was not very private as the workers could see into the outdoor area/pool. After a month traveling through Bali experiencing a wide variety of beautiful accommodations from boutique hotels to design airbnbs I decided to spend the last 3 days of my holiday at Theanna. Oh how I regret it! This was one of the priciest accommodations from my trip but certainly far from the nicest. My villa was below average, dated design and lack of personality. 0 attention to detail - paint chipping of walls or dripping through glass, cheap furniture, very poor tile finishing. My pool was dirty and pool towel was stained. This is call an Eco hotel but all products in the bathroom contain parabens and sulfate. The outdoor furniture next to the pool was rusted. Restaurant was average. I found it troubling to enjoy this place and spend minimum time in my villa. Would not recommend. I really wanted to love this place however I found it disappointing. The room/house was not clean and not well maintained. The pillows were just a little unusually overstuffed and the mattress was two small beds joined together so the join was a little hard. Balinese coffee is fantastic but the espresso coffee needs a little improving but not a big deal. There was full blown construction of new villas on site...nobody informed us of this before arrival. Construction works started early AM and right next to the pool where breakfast was being served. Theres a certain immorality to not informing guests that you have construction work ongoing during their stay. Hey...cash is king. Great staff allround...went out of their way to accomodate every single request. Fantastic.